What happens when your business is massively reliant on one customer … and that customer stops needing as much of your product? Steel production not looking good. 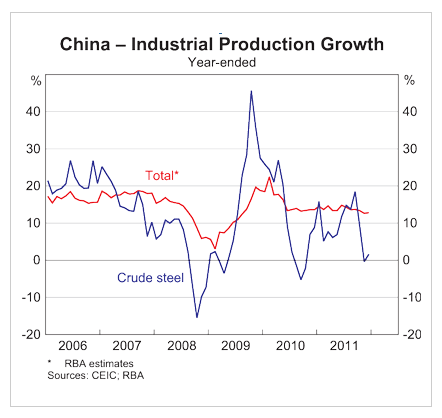 And total production growth gently sliding. House prices topped out and rolling over. Floor space sold falling. The same old story, as seen throughout the Western world, now in China too. When the “credit” (ie, debt) needed to keep blowing up a bubble slows and falls, the end is nigh. 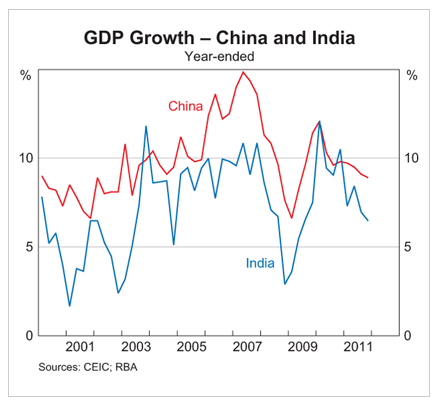 And without all that debt-fuelled building activity to drive “GDP growth”? Say “bye bye” to that surplus fantasy, Swanny. Oh yes, no doubt you will loudly trumpet a forecast surplus in the May budget. But I for one am willing to bet you that, come end June 2013, there is not a snowflake’s chance in hell of your delivering one. A copy of Manhattan, complete with Rockefeller and Lincoln centers and what passes for the Hudson River, is under construction an hour’s train ride from Beijing. And like New York City in the 1970s, it may need a bailout. Debt accumulated by companies financing local governments such as Tianjin, home to the New York lookalike project, is rising, a survey of Chinese-language bond prospectuses issued this year indicates. It also suggests the total owed by all such entities likely dwarfs the count by China’s national auditor and figures disclosed by banks. Bloomberg News tallied the debt disclosed by all 231 local government financing companies that sold bonds, notes or commercial paper through Dec. 10 this year. The total amounted to 3.96 trillion yuan ($622 billion), mostly in bank loans, more than the current size of the European bailout fund. There are 6,576 of such entities across China, according to a June count by the National Audit Office, which put their total debt at 4.97 trillion yuan. That means the 231 borrowers studied by Bloomberg have alone amassed more than three-quarters of the overall debt. The fact so few of the companies have accumulated that much debt suggests a bigger problem, says Fraser Howie, the Singapore-based managing director of CLSA Asia-Pacific Markets who has written two books on China’s financial system. “You should be more worried than you think,” he said of Bloomberg’s findings. “Certainly more worried than the banks will tell you. “You know how this story ends — badly,” he said. The findings suggest China is failing to curb borrowing that one central bank official has said will slow growth in the world’s second-largest economy if not controlled. With prices dropping in China’s real estate market, economists warn that local authorities won’t be able to repay their debt because of poor cash flow and falling revenue from land sales they rely on for much of their income. Provinces and cities are going deeper into the red to finish projects, from the Manhattan on the east coast, to highways in northwestern Gansu and a stadium fronted by Olympic rings in Hunan, central China. 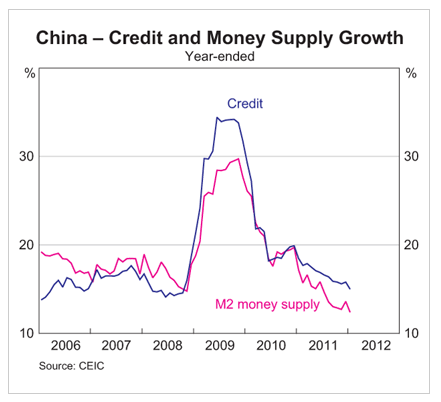 Many were started as part of China’s stimulus program to beat the 2009 world recession. 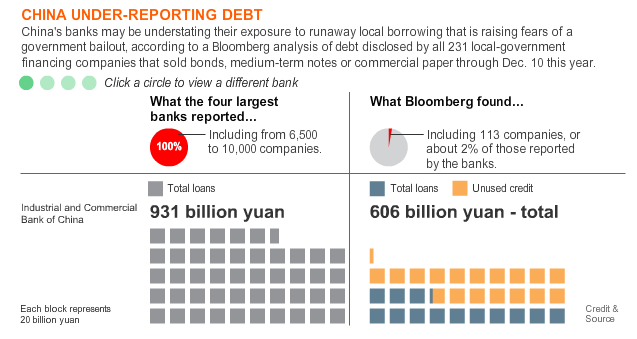 The financing companies accounted for almost half of the 10.7 trillion yuan in all local government debt tallied by the official audit. The 231 borrowers whose public filings were reviewed by Bloomberg raised a combined 354.1 billion yuan by selling securities this year. They have credit lines from banks of at least 2.3 trillion yuan that have yet to be drawn down, the documents show. China’s home prices posted their worst performance this year with more than half of the 70 biggest cities monitored in November recording declines after the government reiterated plans to maintain property curbs. New home prices dropped from the previous month in 49 of the cities monitored by the government, compared with 33 posting decreases in October, the national statistics bureau said in a statement on its website yesterday. Only five cities had gains in home prices, according to the statement. Indeed, precisely what we have long been forewarning. Given all the data and info we have seen here at barnabyisright.com over the past 12 months, I’d not call this prediction “outrageous” at all. But then, we don’t ascribe to the popular groupthink here, do we. Should one, two or three of our Outrageous Predictions come to pass, it would make 2012 a year of tremendous change. 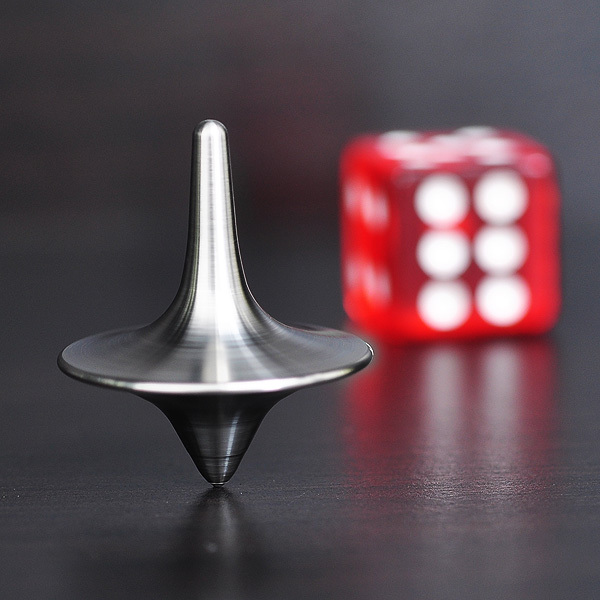 This may not necessarily be a negative thing either – and given the structure and uncertainties in the marketplace here at the end of 2011, we would suggest that even if none of our predictions come to pass, equally important and totally unanticipated events will. Sometimes we need to get to a new starting point before we can gain the right perspective. 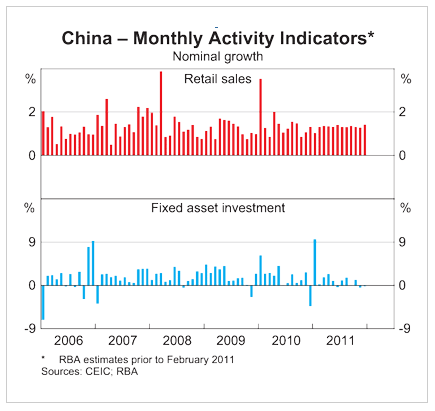 We hope 2012 will be the year where we start on the long march towards re-establishing jobs, growth and confidence. Really looking forward to seeing Waynes’ massaged MYEFO now. Last night’s fall in global share and commodity markets plus the slump in the Australian dollar will affect not just Australian superannuation balances and consumer confidence, but will extend deep into sectors of the Australian dwelling market. If you are about to buy or sell an apartment or house, you need to be aware of the forces that have been unleashed. The most dramatic contributor to last night’s drop, from an Australian point of view, was not the growing frustration with Europe; it was not the global banking crisis; and it was not the fact that the US must introduce mandatory spending cuts. All of those events were very important, but what spooked our part of the world was the statement by Chinese Vice Premier Wang Qishan that a long-term global recession is certain to happen and China must focus on domestic problems. European stocks were getting slammed Monday, after Moody’s Investors Service issued a dire warning on French bonds, and Asian markets were dampened by pessimistic remarks made by a high-ranking Chinese official. “China’s Vice Premier Wang Qishan said that the current economic situation is extremely serious and is certain that a global recession triggered by the international crisis will last a long time,” wrote the Deutsche Bank analysts in a report to investors. 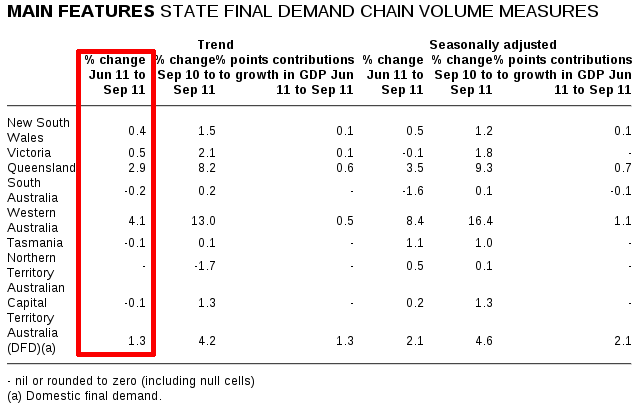 And the “hot money” (ie, speculator-driven) that had been keeping the AUD artificially strong … until late 2008 … and, until recent weeks … is not just fleeing Australia. More signs of bearish sentiment on China, this time from cross border capital flows. Data released Monday showed China’s banks were net sellers of foreign currency in October (in Chinese). 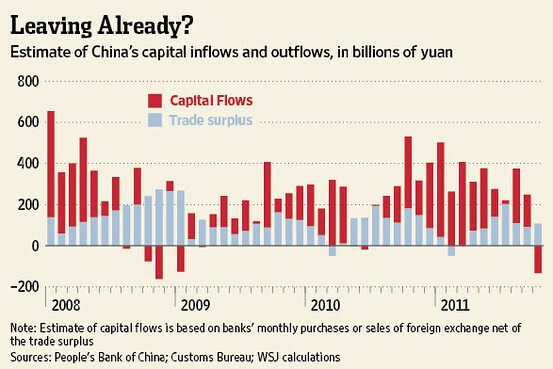 That’s unusual because China’s trade surplus, combined with inflows of direct investment, mean the mainland’s banks are almost always net buyers of foreign currency. Indeed, the numbers normally suggest that in addition to the trade surplus, banks are buying up speculative capital flowing into the economy. 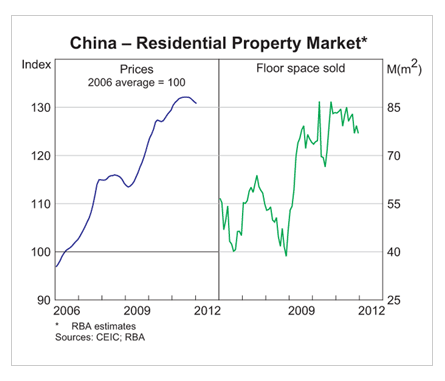 Tuesday’s numbers suggest that now speculative capital might be exiting China. That makes sense given diminished expectations of yuan appreciation, falling property prices and a deepening crisis in Europe pushing investors away from risky positions. A comparison with past occasions when hot money has flowed out of China provides little reassurance. Netting out the trade surplus from banks’ FX purchases gives a rough approximation of the scale and direction of capital flows. The last time it turned negative was May 2010, when fears of a double dip downturn were on the rise. The time before: the eve of the financial crisis in August 2008. Out with the MYEFO already.